Money20/20 - AmaTech Group Limited, a division of Paragon I.D. AmaTech Group Limited, a division of Paragon I.D. 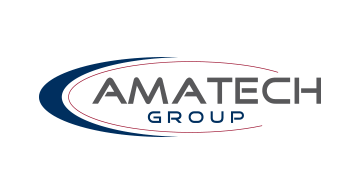 AmaTech Group, a division of PARAGON ID, has pioneered the development of contactless technology in EMV® metal smartcards. Fusing ingenuity and innovation, these metal cards are precision engineered and designed to make a statement. Our mission is to support our clients with a range of metal card products that target the affluent and high net-worth segment in the payment space. We elevate the user’s experience by creating a convenient and efficient contactless payment that can be activated from either side of the metal card and which meets the high security requirements for RFID-enabled smartcards in the banking sector. We provide contactless metal card solutions through a manufacturing process that combines laser cutting, intricate CNC machining and the nanomaterial science of specialist coatings to produce metal cards that look and feel prestigious. The metal card’s surface is enhanced using laser engraving to create sophisticated 3D designs. At Money 2020, we are thrilled to introduce the world’s first metal inlays with a dual interface chip module, a product that simplifies the production of metal embedded smartcards. Our solution allows secure card manufacturers to concentrate on the personalization, issuance and fulfillment services. To address the pinnacle metal card market, we offer a selection of black and stainless steel cards available in varying metal card constructions and weight. These options translate into luxury metal cards that the card issuer can bundle with a suite of lifestyle privileges and benefits. AmaTech, a specialist R&D division of Paragon ID, specializes in the banking payment technology. Together with the expertise and wide capabilities of Paragon ID, we meet our clients’ precise objectives. For further information about AmaTech or Paragon ID, please visit www.paragon-id.com.